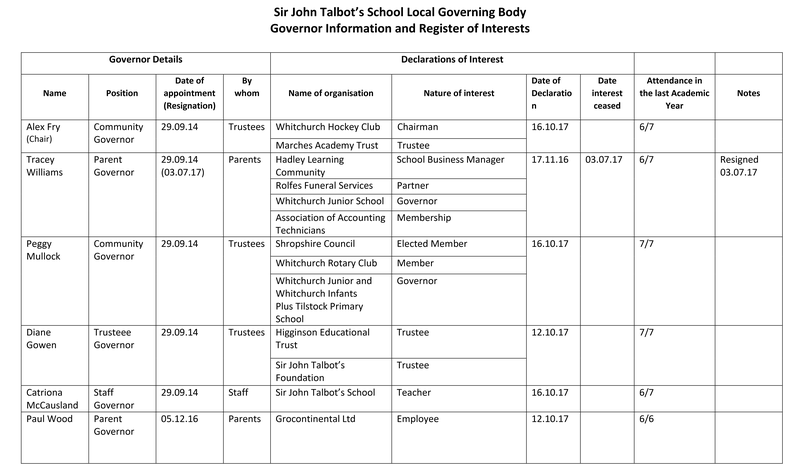 The Local Governing Body is made up of a variety of community, parent and staff governors, numbers of which are detailed below. Further information, if required, is accessible via the Clerk to the Trust’s Board: jones.v@marchesacademytrust.co.uk. To contact the governors directly please email governors@marchesacademytrust.co.uk. Term of office is 4 years.